Thirsty? 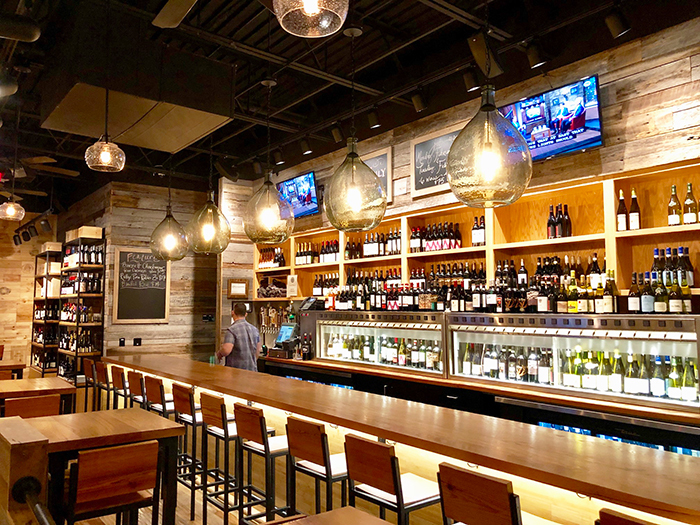 Here are the 5 best wine bars in Charlotte. Honorable mentions: Petit Phillipe, an upscale wine shop in Myers Park; Vin Master, a super chill wine bar with awesome weekly specials in South End; Bond Street Wines, an old-school wine shop with friendly staff near Manor Theater in Myers Park; and Wooden Vine, a wine and tapas spot with a killer $10 wine flight in the heart of Uptown. 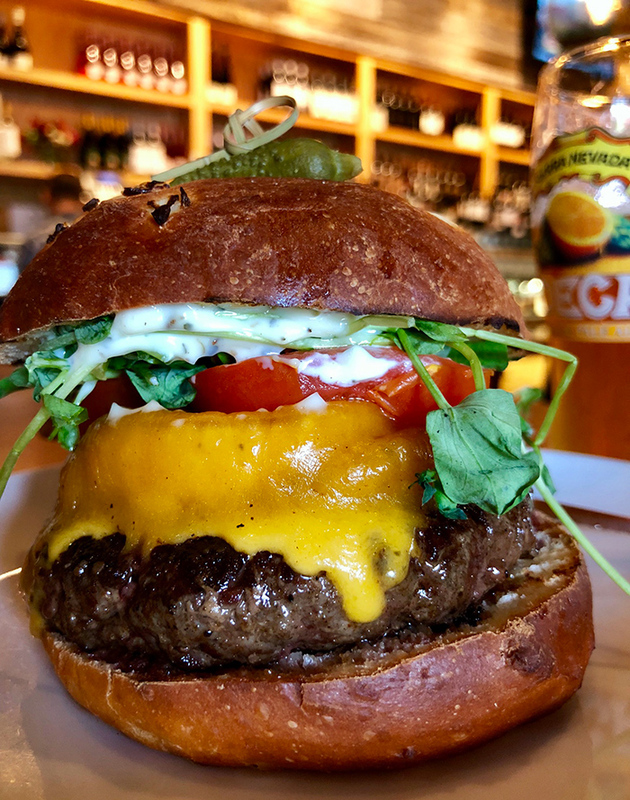 Must-order dish: The signature Foxcroft Wine Co. burger – ground hanger steak, grilled onion, pea shoots, tomato, truffle aioli and your choice of cheddar or blue cheese. Patio: Yes. It faces East Boulevard and has lights strung overhead. Fun fact: Owner Conrad Hunter was a professional musician in the ’80s and ’90s before starting the concept. 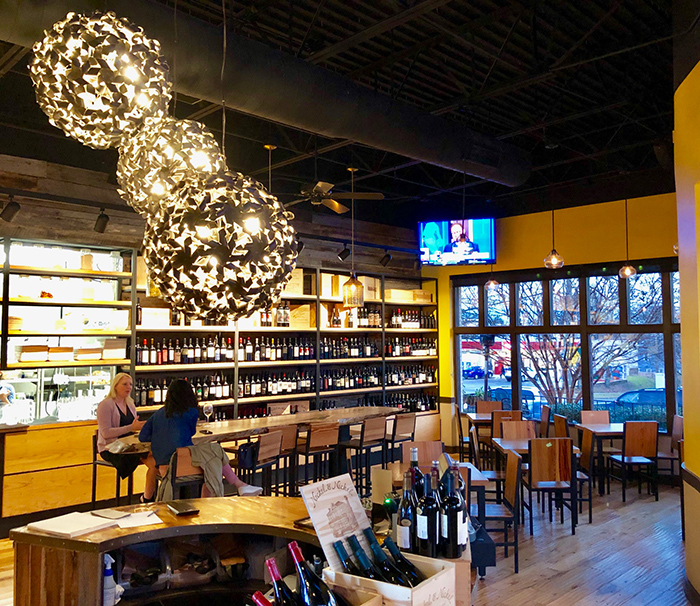 He was a wine wholesaler before opening the first Foxcroft Wine Co. in the Foxcroft neighborhood (thus the name) and most recently opened one in Greenville, SC. He’s also an owner of Dot Dot Dot. 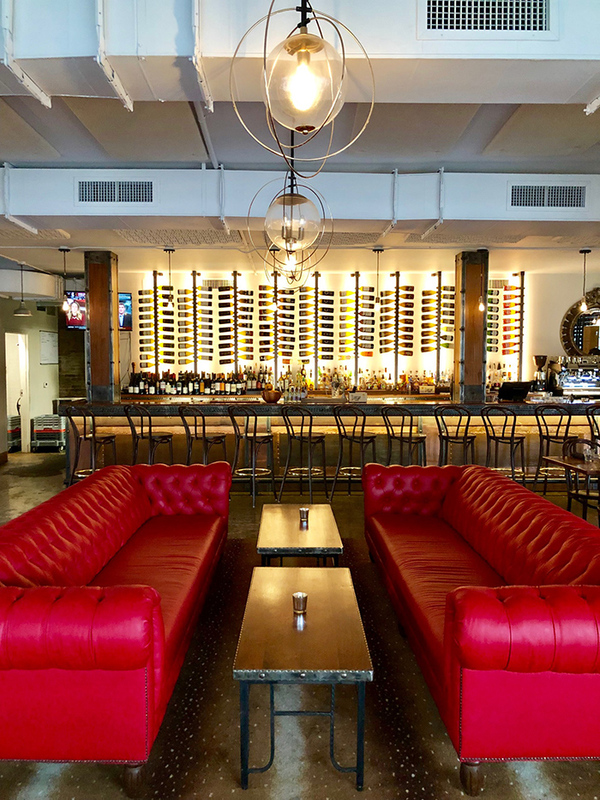 Corkage fee: Foxcroft does have a $10 corkage fee for all wines below $30 that get consumed in the wine bar (reason: they have low retail prices). 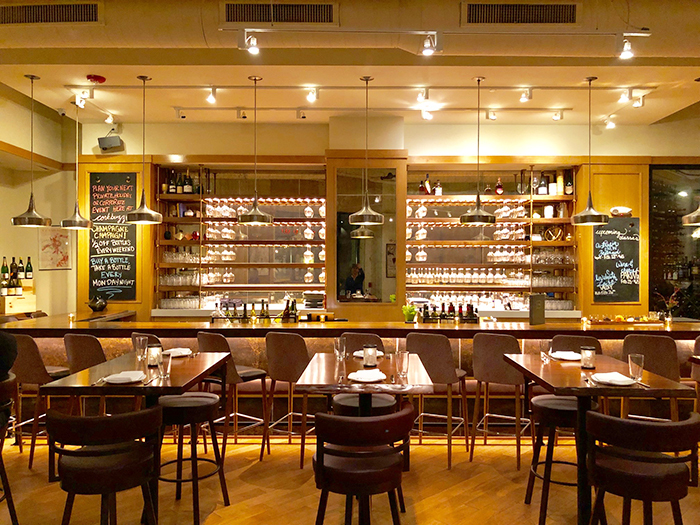 Background: It’s the OG of these top wine bars. Conrad started the first store in 2004, and it’s always been locally owned and operated. 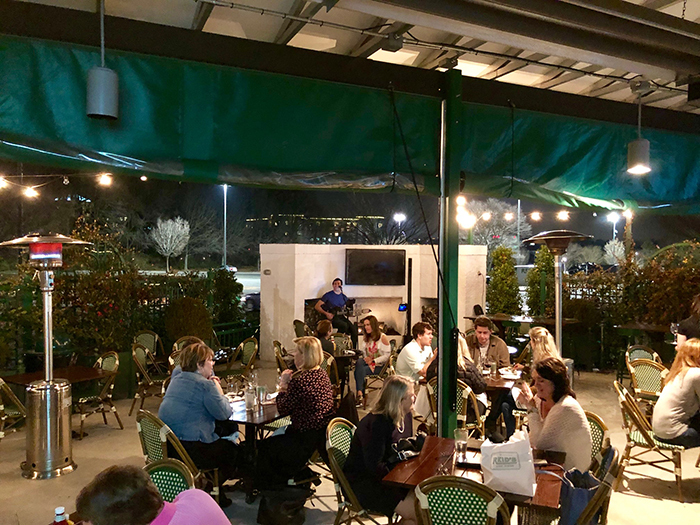 Intimate coffee bar, wine bar and bottle shop with a gorgeous patio perfect for cool summer nights. Patio: Yes. 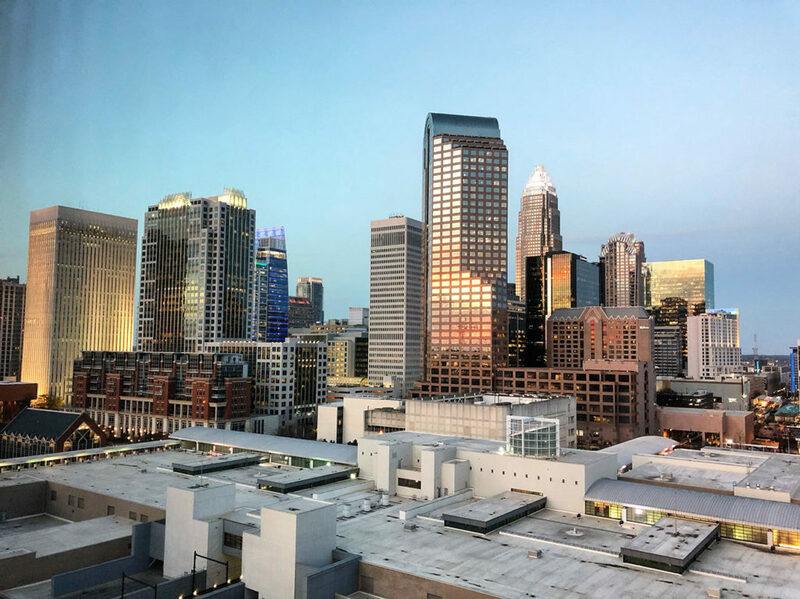 It’s one of the coolest spots in Charlotte. 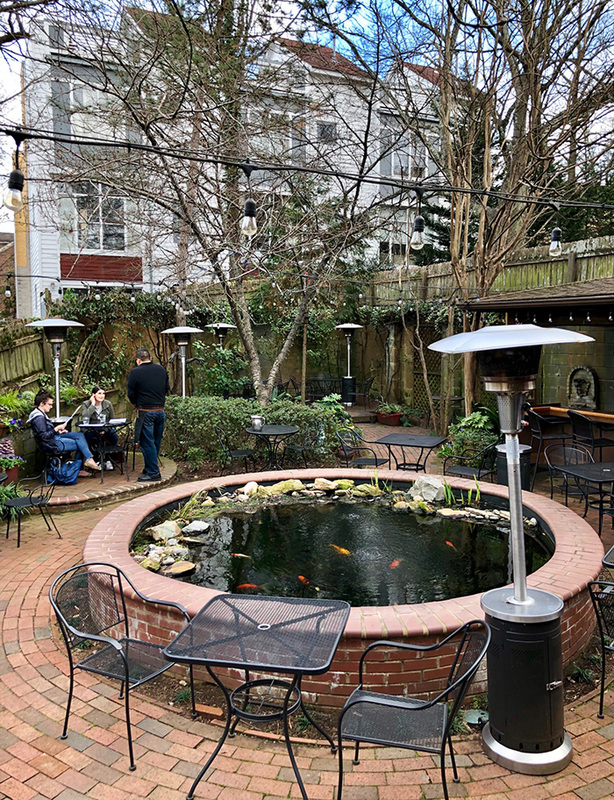 Tables and a bar surround a koi pond. It’s got a super European feel. 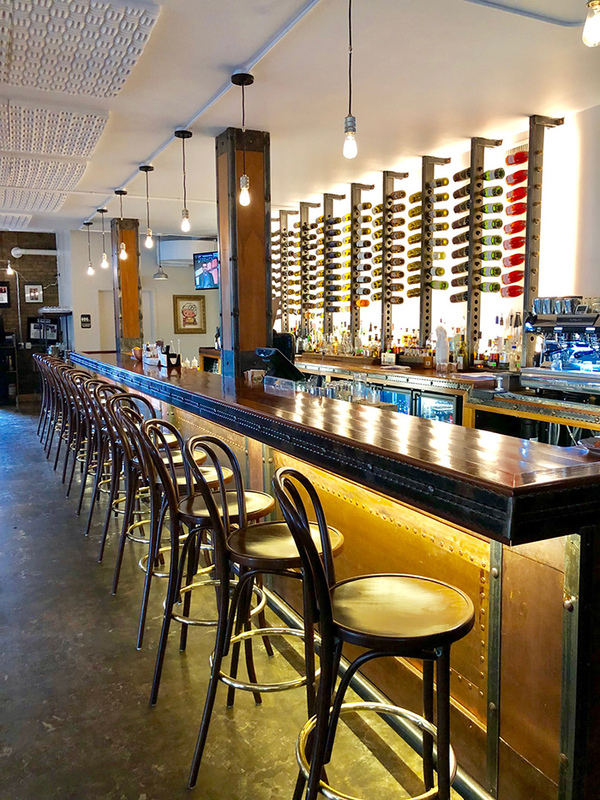 Best weekly specials: Half off select rosé on Thursday nights and free cheese and charcuterie plate with the purchase of a wine flight on Tuesdays. 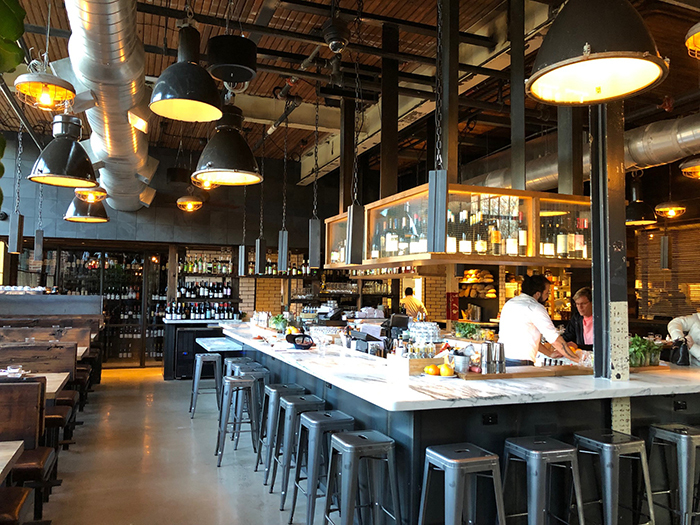 Walkability: DTR’s location is terrific, and it’s an easy walk to 300 East, Bonterra, Superica, Hawkers, O-Ku, Barcelona Wine Bar and Sullivan’s. Wine flights: $20 for any three white wines and $25 for any three reds (3-ounce pours). Best weekly specials: On Mondays, enjoy a bottle at the store and take a second one home for free. On Saturdays and Sundays all champagne is half price. Wine flights: Yes. 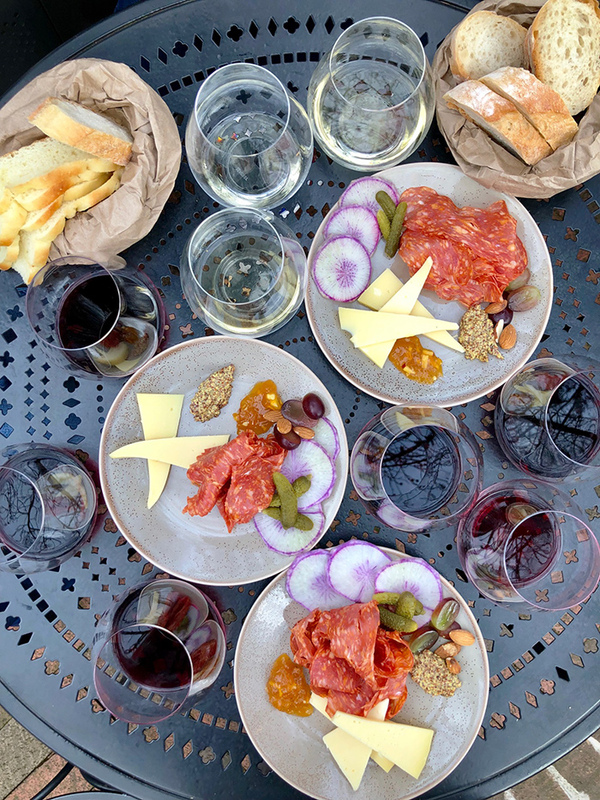 Corkbuzz offers eight different wine flights (three, three-ounce pours) ranging from $15-$24. Must-order dish: The “Albondigas” meatballs includes five small balls made of spiced pork, beef and veal for a juicy, rich bite ($8.50). The sauce is made of a thick tomato base blended with boquerones (anchovies) and garlic, which adds a nice salty zesty kick without tasting fishy. Patio: Yes. It’s in the courtyard that Barcelona shares with Superica. It’s intimate and cool. 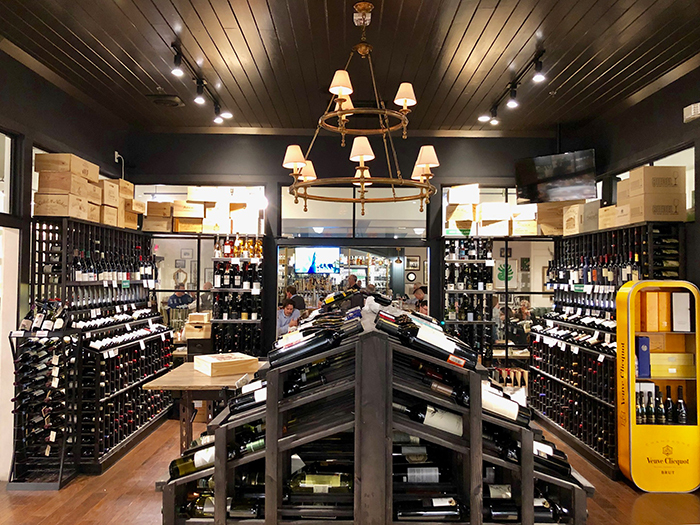 Selection: More than 400 bottles of wine to choose from. The price points range from a very high-end $700-$800 tier to more accessible bottles in $20-30 range. Currently, Barcelona has about 50 wine options by the glass and you can also choose to do a three-taste “wine flight” that’ll run you about $15. Cheese setup: Mix and match to make your perfect cheese and meat board with Barcelona’s selection of meats and cheeses sourced from Spain, Italy and other nearby European countries. It’ll run you $6.50 for one and $17.50 for three. Barcelona offers about 15 choices for your mixing and matching pleasure. 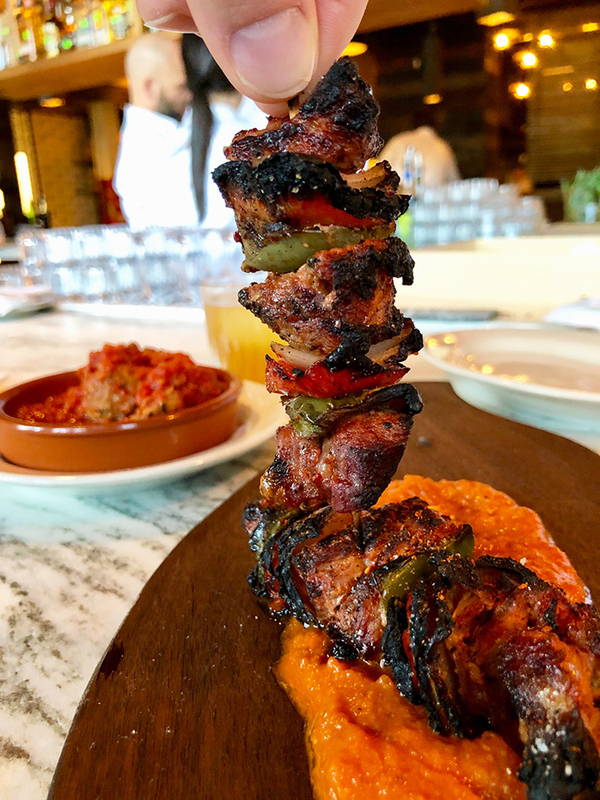 Barcelona’s Lamb Pintxos – chickpea romesco ($12.50). 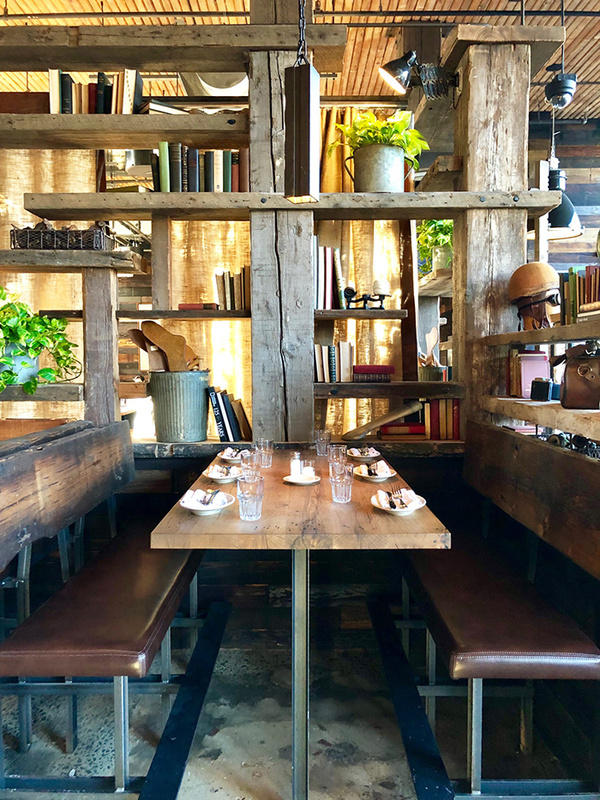 They offer 27 small plates to choose from. Must-order dish: An 8-ounce filet, cut and trimmed from our butcher shop and served with a wild mushroom demi glace, tobacco onions and fried parmesan red potatoes ($30). Selection: 18 options by the glass and 700 bottles (must be over $25 to open in the restaurant). 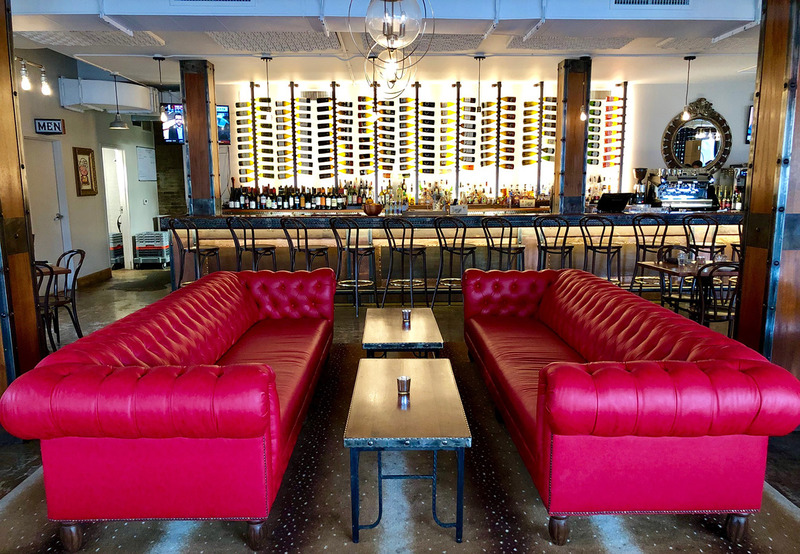 Best weekly specials: Half off wines by the glass on Wednesdays. And half off bottles of wine on Saturday night. Cheese setup: Select four cheese and charcuterie options for $19 or six for $22. Boards are served with pickled vegetables, mustard, nuts, dried fruits, honey, crostini and crackers.